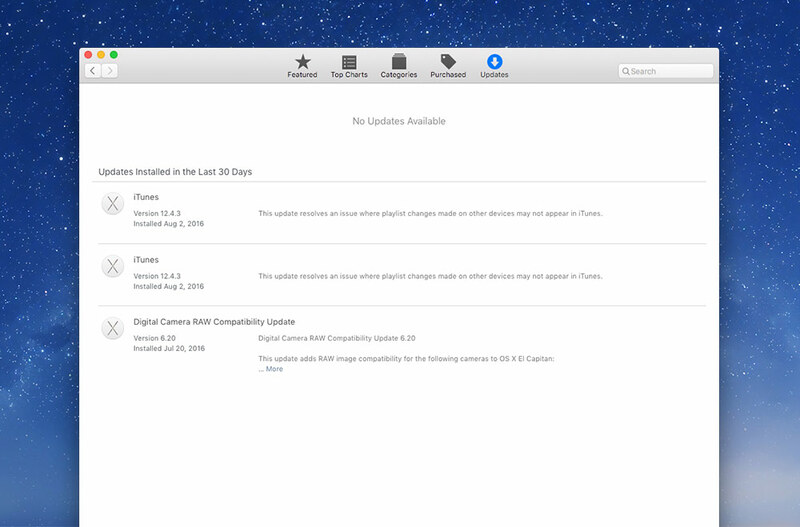 Run all the updates on your computer to make sure everything you have is the most recent, secure version. 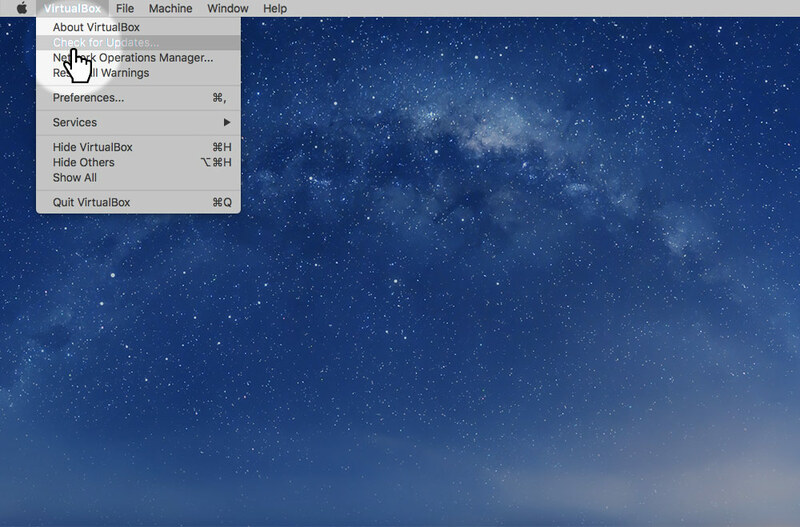 Make sure you have all the updated versions of MacOS for security and all the updated versions of any App Store applications. Install all the available updates and restart your computer as necessary. 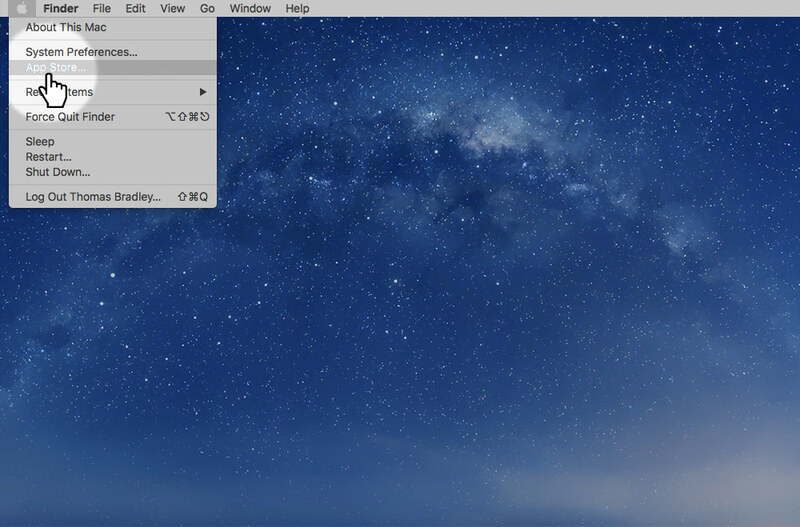 Get the newest version of Atom to make sure you have the fastest, most feature-full version. 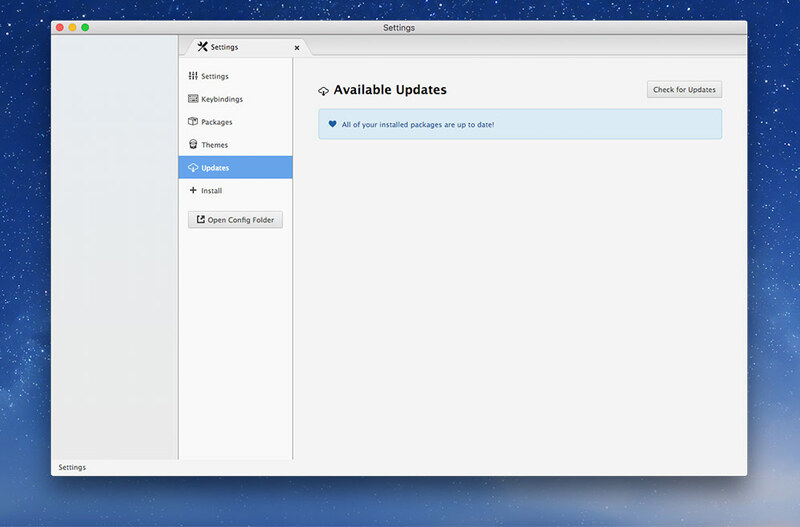 Then make sure that all the packages are up-to-date to be compatible with your version of Atom. 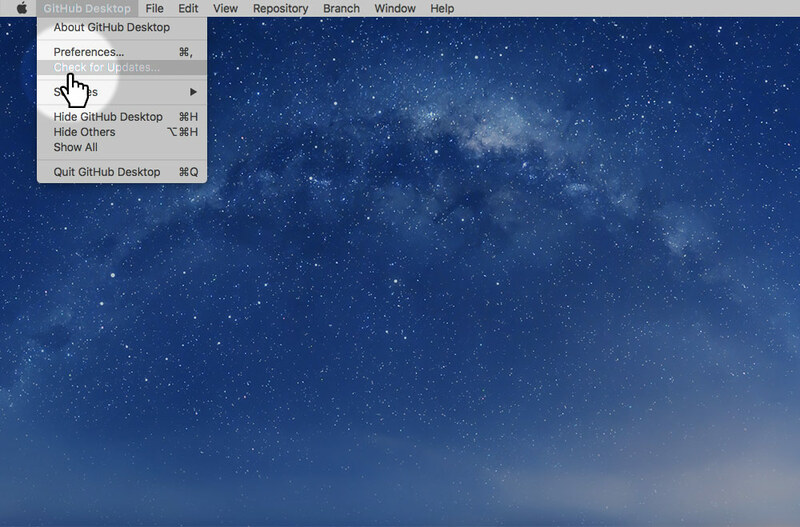 Make sure you have the most recent version of GitHub Desktop for the most compatibility with GitHub. 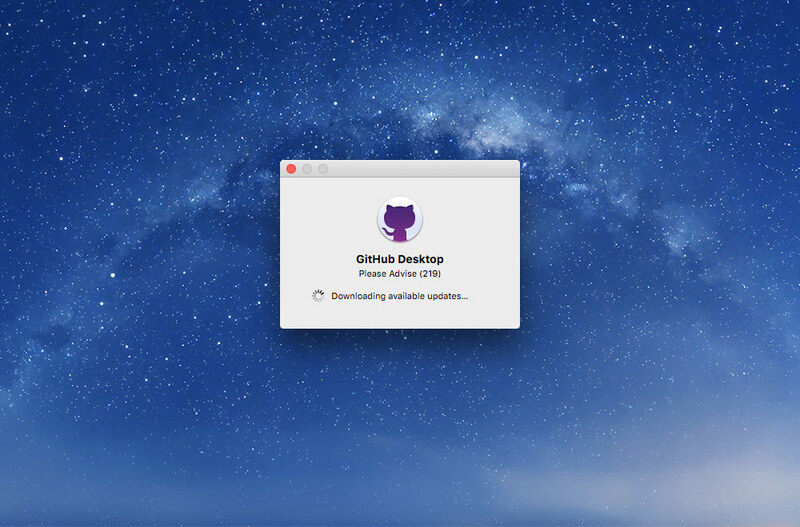 Download the most recent version of GitHub Desktop and restart the app. 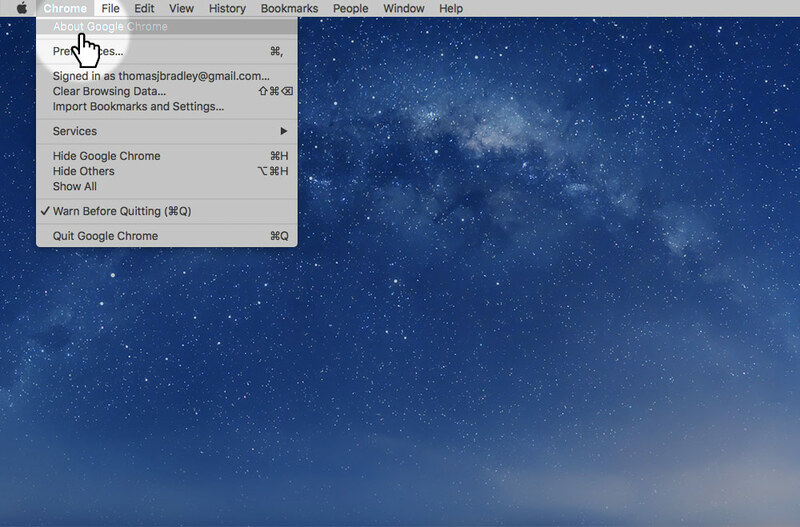 Google Chrome does update itself when you quit it, but sometimes it stays running and never gets updated. So let’s check for updates anyways. 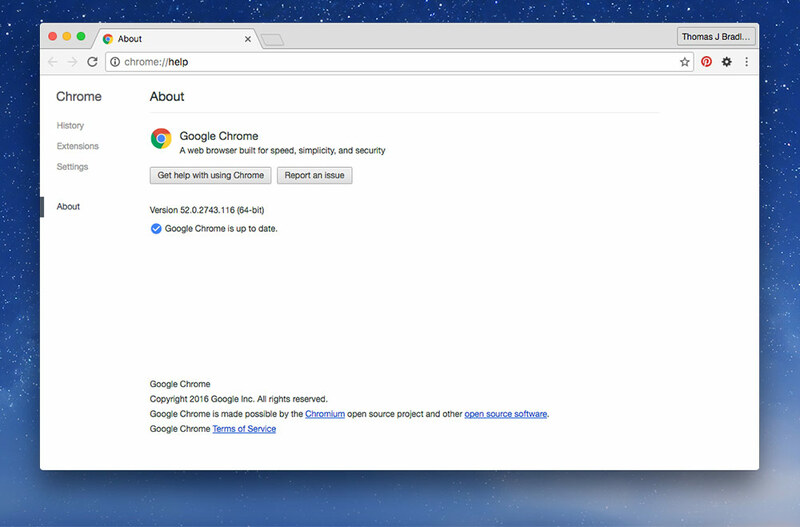 Make sure you have the most recent version—if not install and restart Chrome. 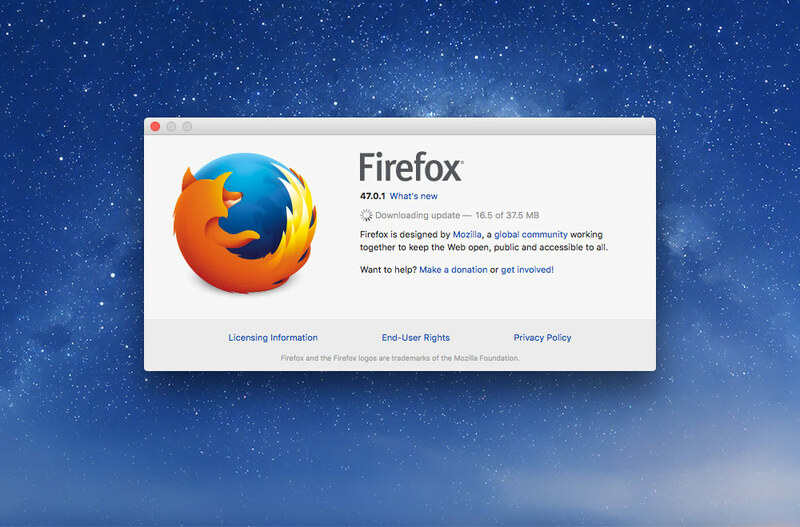 Firefox does update itself when you quit it, but sometimes it stays running and never gets updated—or it just hasn’t been open in a while. Let’s check for updates anyways. 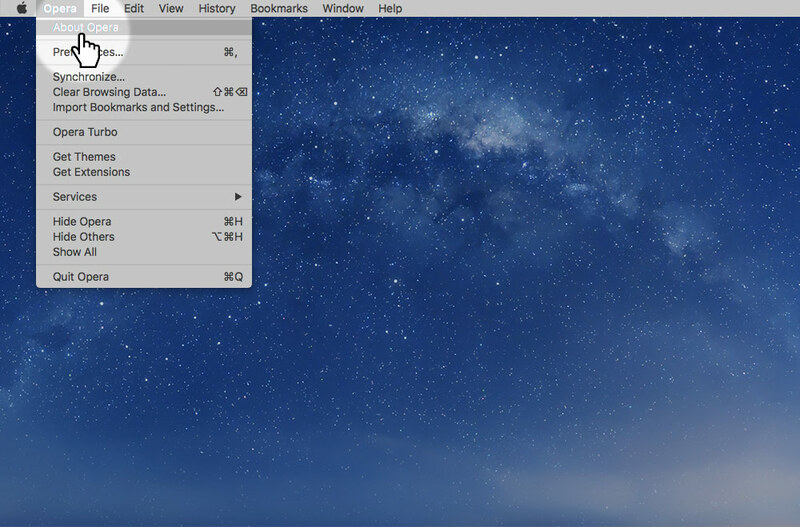 Make sure you have the most recent version—if not install and restart Firefox. 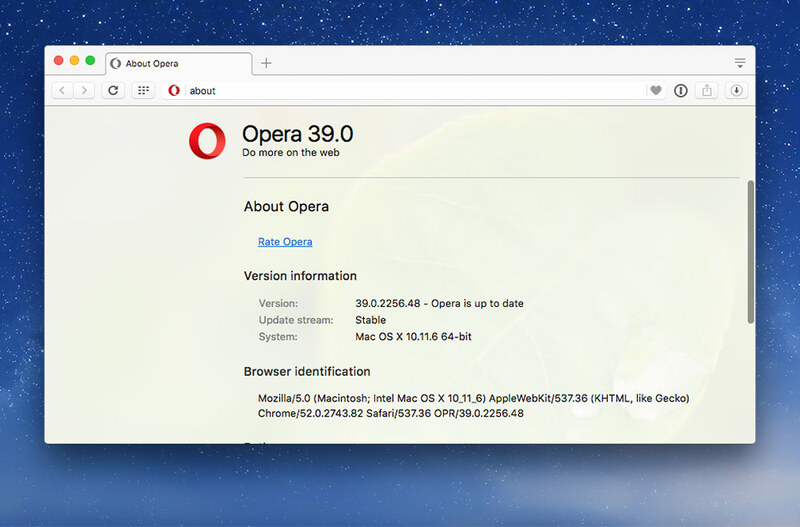 If you’re not an Opera user, you probably haven’t opened Opera in a while—so it’ll be very outdated. 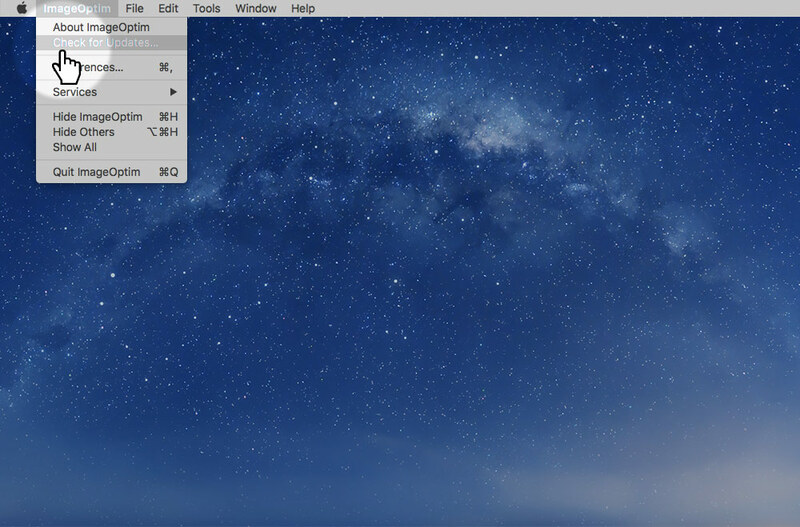 For Web Dev, it’s important that you at least update Illustrator & Photoshop to the newest versions—they’re constantly changing their web exporting tools. 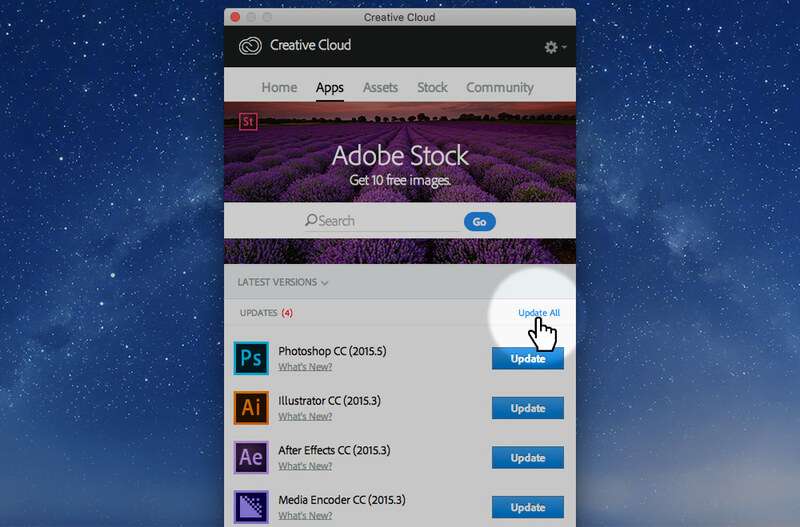 Open the Adobe Creative Cloud app and go to the Apps tab. 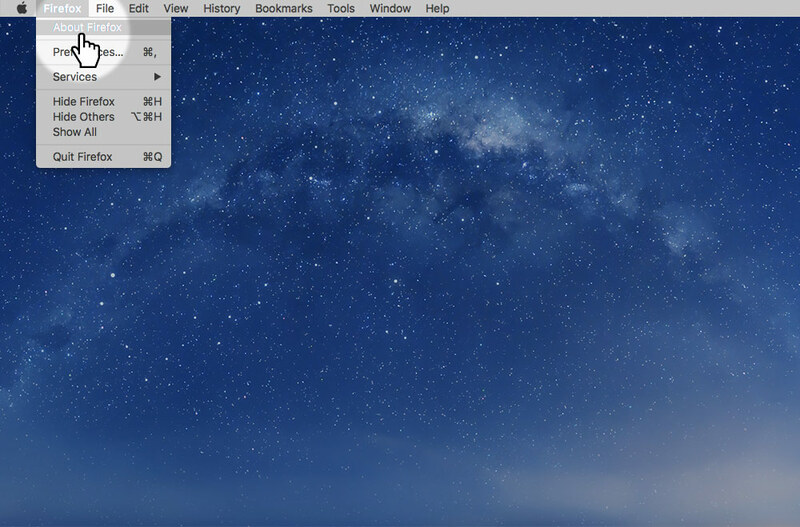 Press the Update All button. 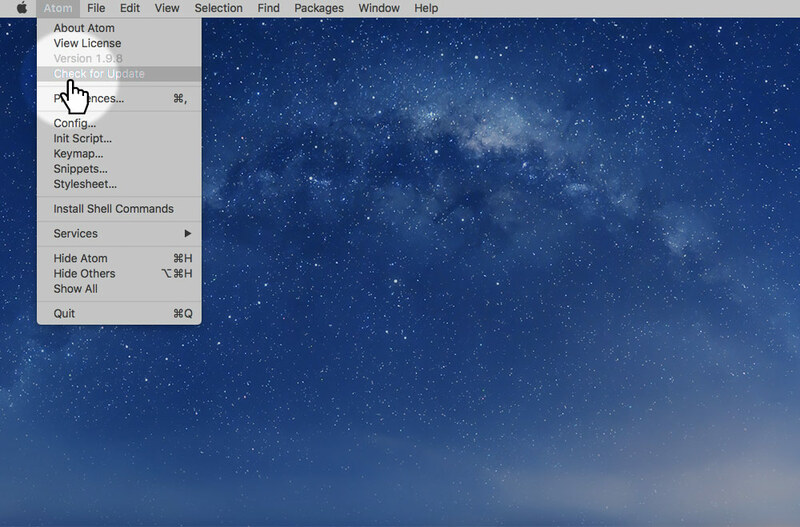 VirtualBox has updates every little while so let’s make sure we have the newest version. 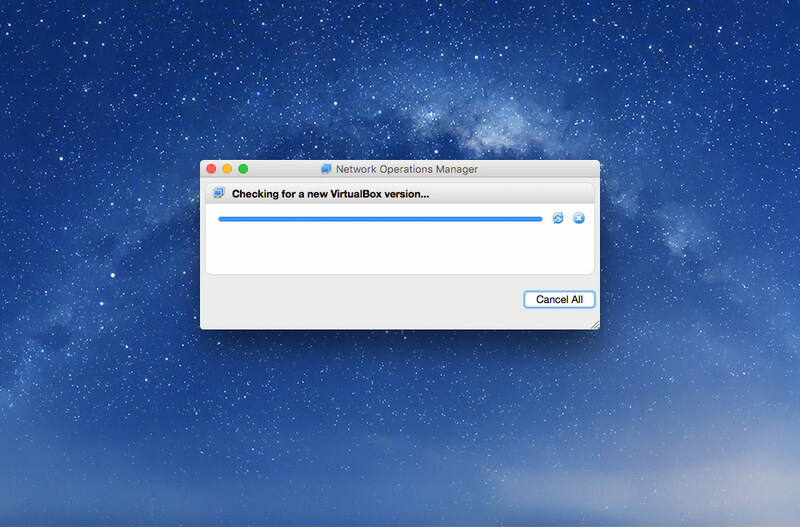 The VirtualBox updates are pretty manual—they usually just download a new installer to your Downloads folder that you’ll have to run. We always want to compress our images as small as possible—so let’s update ImageOptim & Spritebot to get the best smushing abilities. 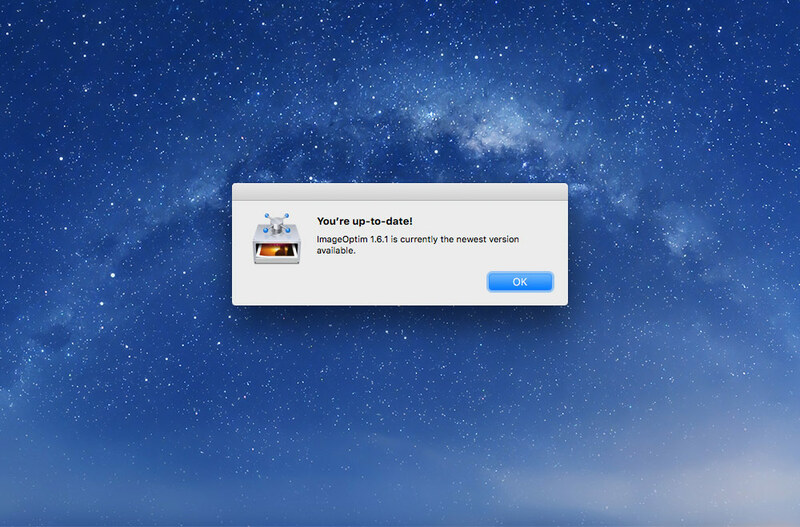 Make sure you have the most recent version of ImageOptim or install the new one. For Spritebot you’ll have to update it manually—it currently doesn’t have auto-updating capabilities. For Spritebot go download a new version from the website. Double check you’ve updated everything on your computer.